Actress Janet Waldo died on Sunday, June 12. You can read the full story here. Best known for her role of Judy Jetson in every iteration of The Jetsons (excluding the 1990 movie where her lines were dubbed over), Waldo had a long Saturday morning career primarily working for Hanna-Barbera. 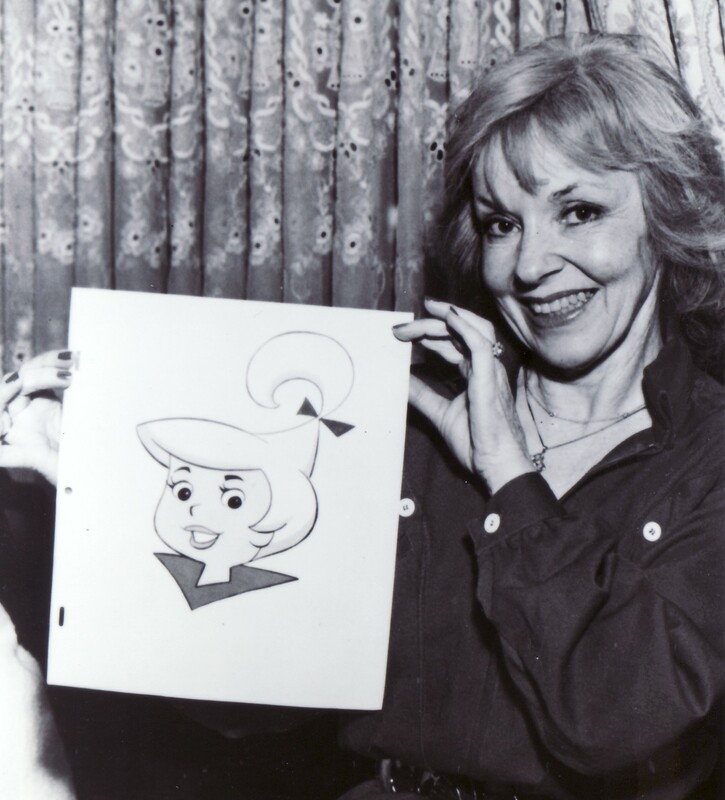 She lent her voice as Jenny in The Space Kidettes; Lana Lang in The New Adventures of Superman; Granny Sweet in The Atom Ant Show along with Flora Rugg in The Atom Ant/Secret Squirrel Show; Nancy in Shazzan; Princess Pearla in Fantastic Four (1967); Penelope Pitstop in Wacky Races, its spin-off The Perils of Penelope Pitstop, and Yogi’s Treasure Hunt; Jenny Trent in Cattanooga Cats; the eponymous Josie McCoy in Josie and the Pussycats and Josie and the Pussycats in Outer Space; Belinda Maze in Around the World in Eighty Days; Grandmama Addams in an episode of The New Scooby-Doo Movies; Curvia and Henrietta in The Roman Holidays; Marybell and Georgia in an episode of The ABC Saturday Superstar Movie; Morticia Addams in The Addams Family (1973); Mrs. Anders in Jeannie; Arlene Wilcox and Beth Crane in The Scooby-Doo/Dynomutt Hour; Circe in an episode of Thundarr the Barbarian; Zerona and Shanna the She-Devil in Spider-Man and his Amazing Friends; several roles in various episodes of ABC Weekend Specials; Mother in The Puppy’s Further Adventures; Hogatha in The Smurfs; and a female dinosaur in Dink, the Little Dinosaur. She also provided a variety of voices for The Secret Squirrel Show, The Abbott & Costello Show, Help!...It’s the Hair Bair Bunch!, Inch High Private Eye, Hong Kong Phooey, The New Tom & Jerry Show, Clue Club, Jabberjaw, CB Bears, Yogi’s Space Race, The New Fred and Barney Show, Scooby-Doo and Scrappy-Doo, Captain Caveman and the Teen Angels, Rubik the Amazing Cube, The New Scooby and Scrappy-Doo Show, Mr. T, The Dukes, Alvin & the Chipmunks and Tom & Jerry Kids Show, as well as on The Jetsons.